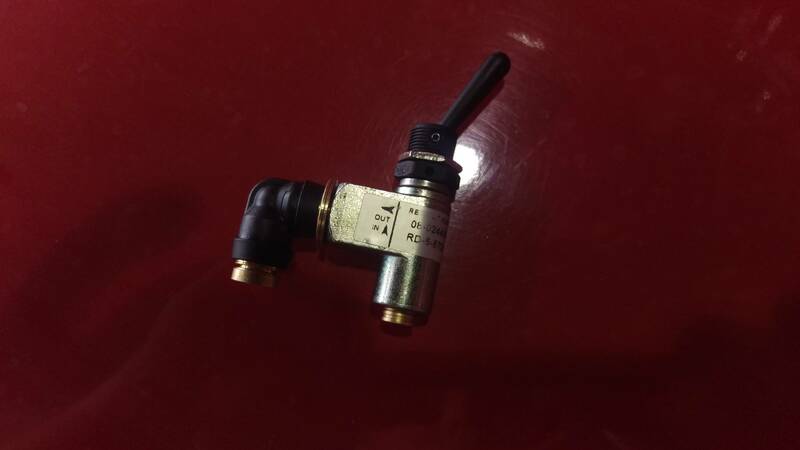 Has anyone used a mechanical air on/off switch on the dash, and ran lines from afc & manifold to the switch? Any downfall to this? Delayed fuel pin movement? Trying to stay away from an electric over air switch. Switch I am referring to. Can't see your pic, but pretty much any mechanical valve will work. I personally would rather have a mechanical valve as it could be set wherever you wanted, giving the afc more adjustability. That would work, but IMO it will delay the pin because of the distance, or actually the volume you have to bring up the pressure in before it will move. Guys have used them before, so it will work. Remps, it's a valve with a toggle actuator. PToombs wrote: That would work, but IMO it will delay the pin because of the distance, or actually the volume you have to bring up the pressure in before it will move. Guys have used them before, so it will work. That's what I was thinking. I guess I'll try it and see if there is a noticeable delay. Been thinking on this since I put a ppump engine in my 01. Trying to do something similar to Afclive. Seems to be a very popular setup for the ppumpers. It seems to me that all it is is a flowcontrol valve and a pressure regulator. I found some high quality valves locally that use 1/4 push fittings, knurled knobs. The regulator has a more sensitive spring than standard to accommodate pressures under 30 psi. Going to give it a try with no fuel plate and report. This would work well for our VE pumps also.